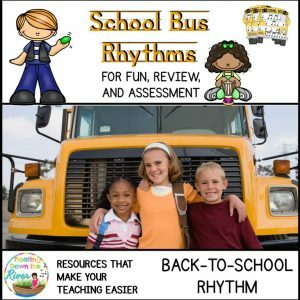 Teach Eighth and Two Sixteenth Rhythm in a Way They’ll Never Forget! 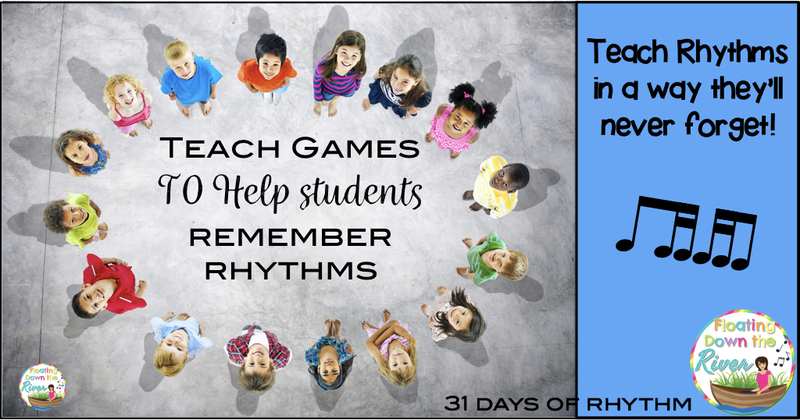 I love teaching rhythms through games. It makes it so easy to learn! 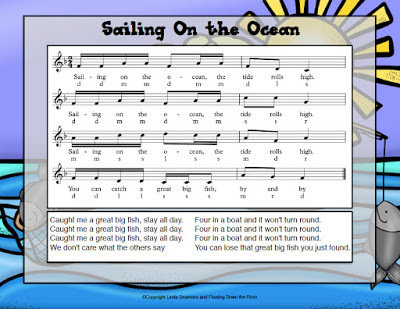 The students love singing a song and playing a game and can so easily translate into a new rhythm. 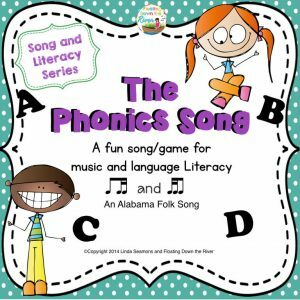 We play a game that makes learning the eighth and two sixteenths as well as two sixteenths and and eighth patterns so easy to remember. 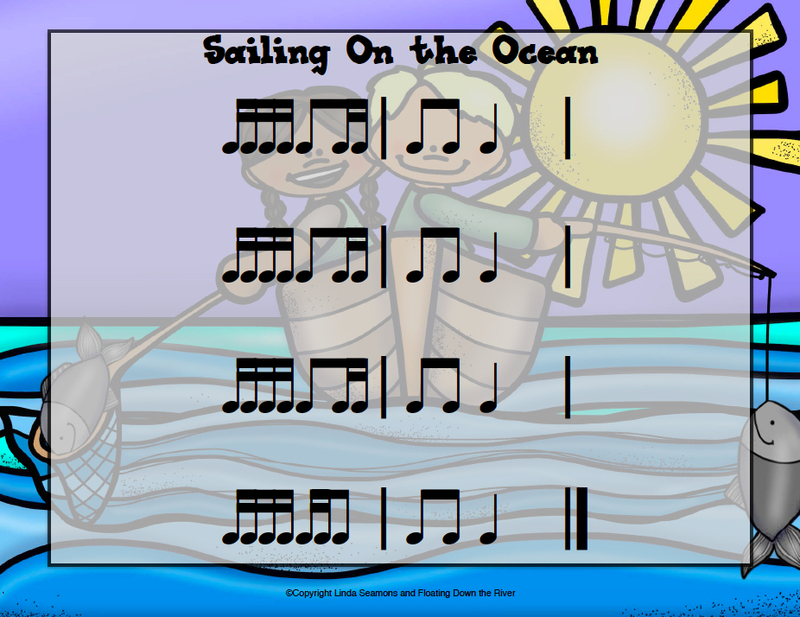 Sailing on the Ocean is a great game for introducing these rhythms. 4. You can leave the pretty girl you just found. Formation: single circle with four boys in the center. hands and circle clockwise while the boys in the center face toward the outer circle. Join hands and circle counterclockwise. 2. All players drop hands and both circles walk counterclockwise; each boy in the center chooses from the outer circle the girl nearest him and walks beside her until the end of the verse. 3. Each boy puts his partner on his right and all 8 join hands in the inner circle and move counterclockwise, while the other circle moves clockwise. On the word “leave” the boy leaves his partner in the center and goes to the outer circle. the game is repeated with the girls in the center and the words are changed by substituting “handsome boy” for the “pretty girl”. 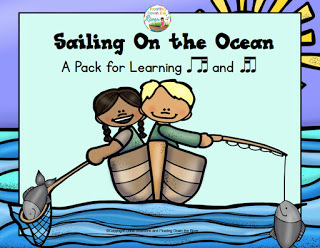 Sailing on the ocean, the tide rolls high. You can catch a great big fish, by and by. Caught me a great big fish, stay all day. We don’t care what the others say. Four in a boat and it won’t turn round. You can lose that great big fish you just found. We do it a bit differently in my class. Here is our variation in directions. 1. One circle walks counterclockwise with one student walking the opposite direction around the inside of the circle. That student stops at the end of the verse by a student, who the becomes the “fish for the next verse. 2. The new “fish” walks counterclockwise and stops at the end of the verse by the first “fish”. 3. 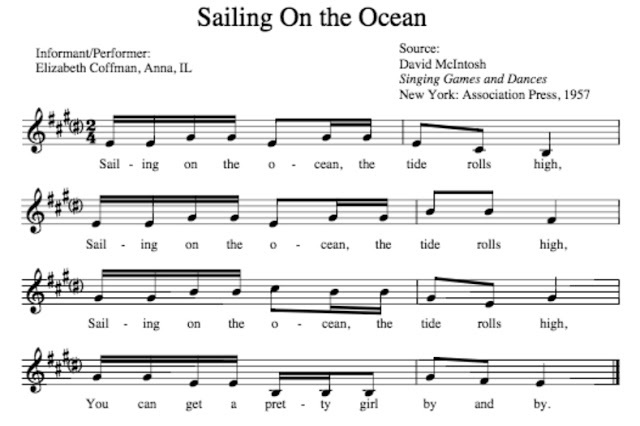 Both of the first two “fishes” do motorboat for the third verse. Motor boat is where both student face each other holding hands with their feet close together and close to each other. They lean back as they shuffle their feet quickly and go in a circle. I challenge the students to be careful to not “fling” the other student on the floor, especially if one is bigger than the other. The students love doing motorboat. The next time students start over, there are two “fishes” and they catch two new ones. The third time you start the game over, you would have 8 “fish”. The kids would continue to do motorboat in pairs. 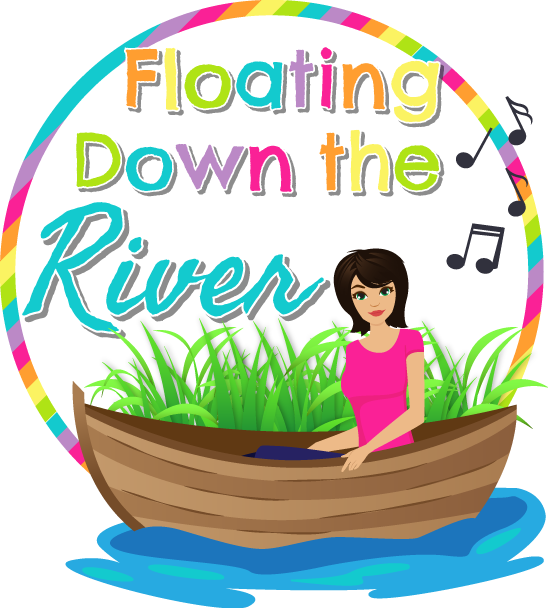 By the end, I have “all in the boat and it won’t go round”. After we have played the game, we read the rhythm. 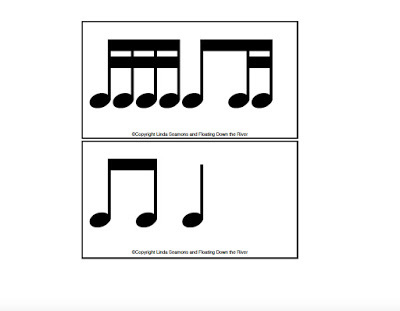 We discover that we already know ti-ti (two eighths) and that we already know tiki-tiki (four sixteenths). 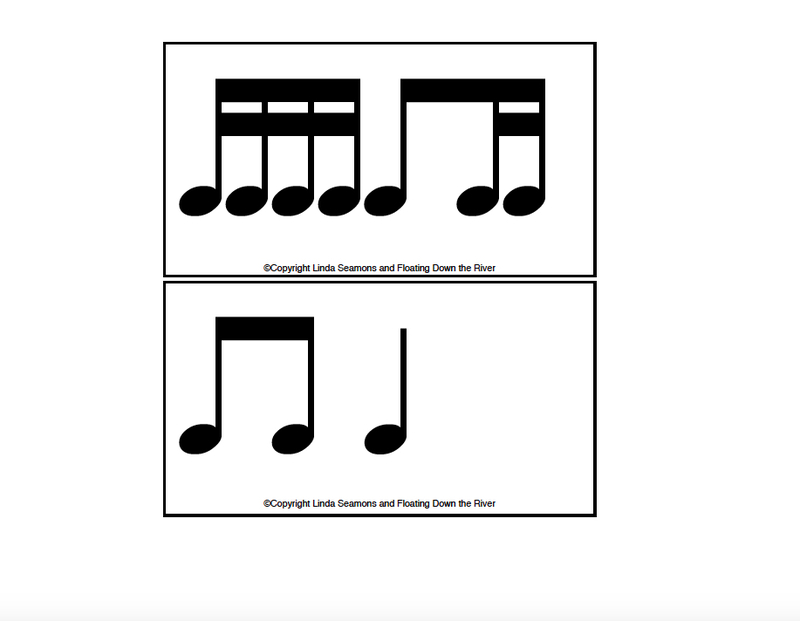 They are able to then take that knowledge to figure out what this new rhythm is called. 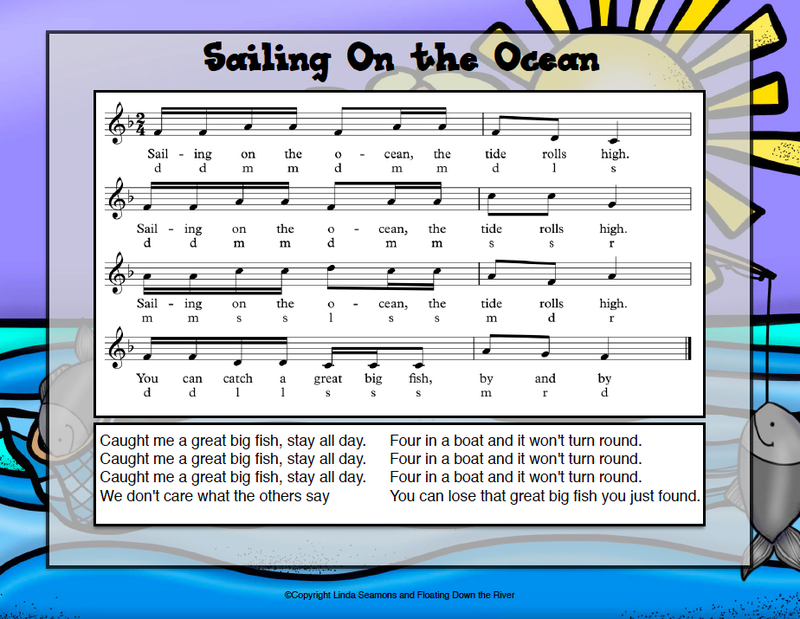 We then read our new found rhythm and they are all so proud of themselves- that they can read a rhythm that only the big kids know. 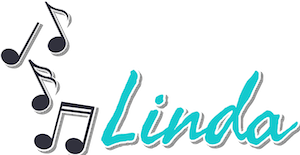 Play the following rhythm game. Line up groups of student along one side of your room. I usually have about 7 groups of 3 or 4 kids. 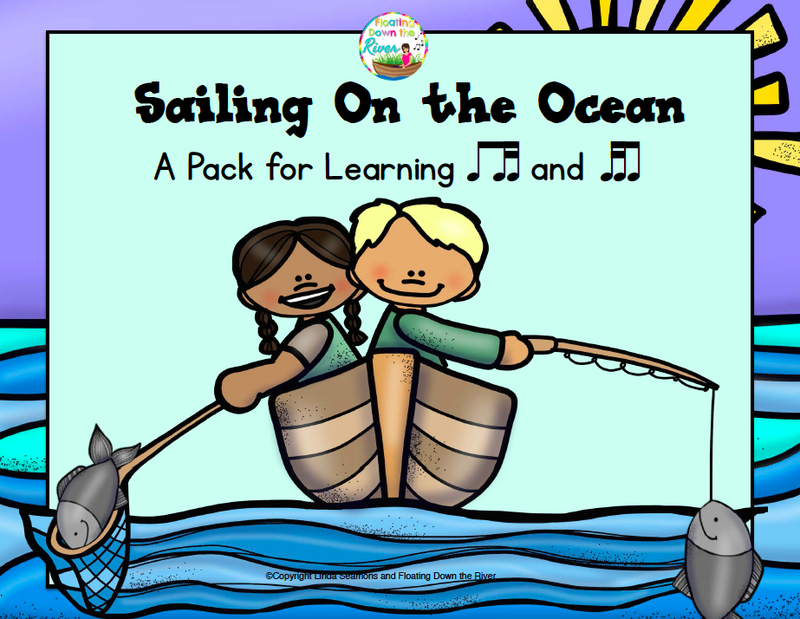 Each group has the 8 measures of Sailing on the Ocean cards. I have them turn them over and “mix them up like crazy”. They choose a “leader” of their group. When I say “go”, they put the cards in order and then the leader runs up to me and as each group gets done, their leader runs up to me and gets in line. Once the leader is in line, the group can no longer change their rhythm. I will check the rhythm of the group whose leader is first. are not careful about the tiki-ti’s and the ti-tiki’s so they mix them up. 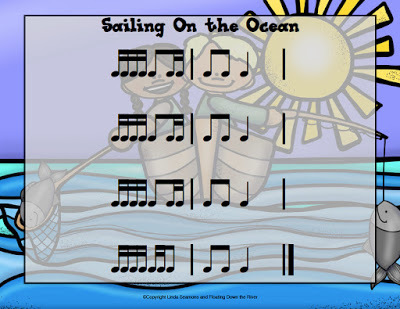 I will leave the rhythm page up on my promethean board when they are first starting to play this game with a song. Once they get better at this, I take away the “cheat” sheet so they can really think through the rhythm. I will give a tiny eraser to the members of the team who wins. Once a team wins, they can win again but they will not get a prize. They are just thrilled if they get it first. 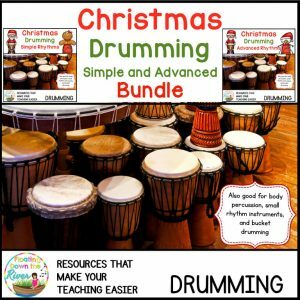 My kids love this active way of practicing their new rhythm and it helps them to remember how to read this rhythm every time.